This Vietnamese sour soup recipe is ready in just 15 minutes and so full of complex flavours and textures that it just might be the most delicious bowl of soup you’ve ever tasted. 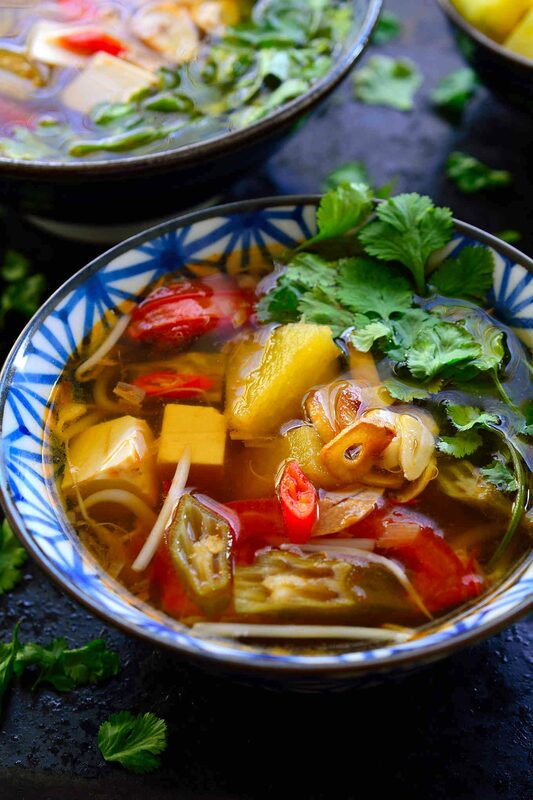 This is a vegetarian version of canh chua with tamarind, pineapple, okra and silken tofu. 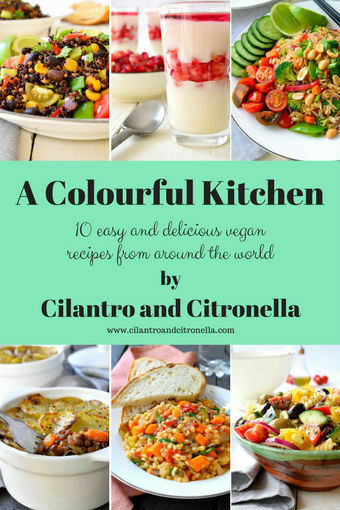 The combination seems weird but I’m sure it will quickly become your new favourite soup! I’ve been intrigued by the idea of a soup soured with tamarind and sweetened with pineapple ever since I saw a recipe for it in my copy of The Asian Vegan Kitchen. As you know, I get really excited by soups with an interesting combination of sweet, sour, savory and spicy like vegetarian tom yum soup or Thai coconut soup. So this vegan Vietnamese sour soup was definitely one I had to try! I did a bit of research and learned that this soup comes from the Mekong Delta region and is typically made with fish or shrimp. I thought that firm silken tofu would be a good substitute for a vegetarian version, although to be honest this soup is so packed full of fruits and veggies that you don’t even need to substitute the fish with anything. The difficulty with Vietnamese sour soup is the variety of herbs that most recipes call for. Although I have a pretty good Asian supermarket near me, elephant’s ear stem, rice patty herb and sawtooth coriander are just not available (and to be honest I don’t really know what they are). So for my version, celery stands in for elephant’s ear and regular cilantro for the sawtooth variety. A pinch of cumin can be substituted for a similar flavour to rice patty herb, although I chose not to include it in my recipe this time. The star ingredient of this vegetarian canh chua recipe is the tamarind. It’s what gives it that particular kind of sourness that’s just a bit more fruity and complex than lime juice, and it’s also what gives pad thai its distinctive flavour. Luckily tamarind paste is easy to find at most Asian supermarket and if you like pad thai, I’d highly recommend keeping some stocked in your pantry! 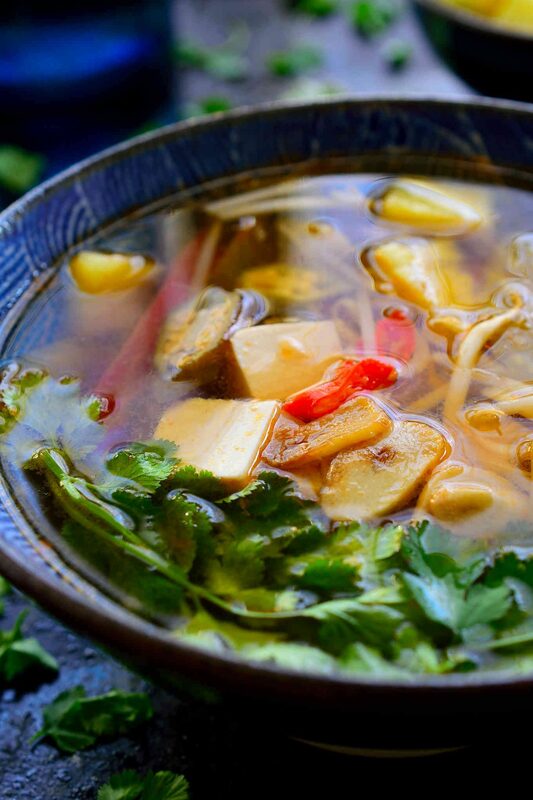 This Vietnamese sour soup is an example of everything that is great about Vietnamese food. 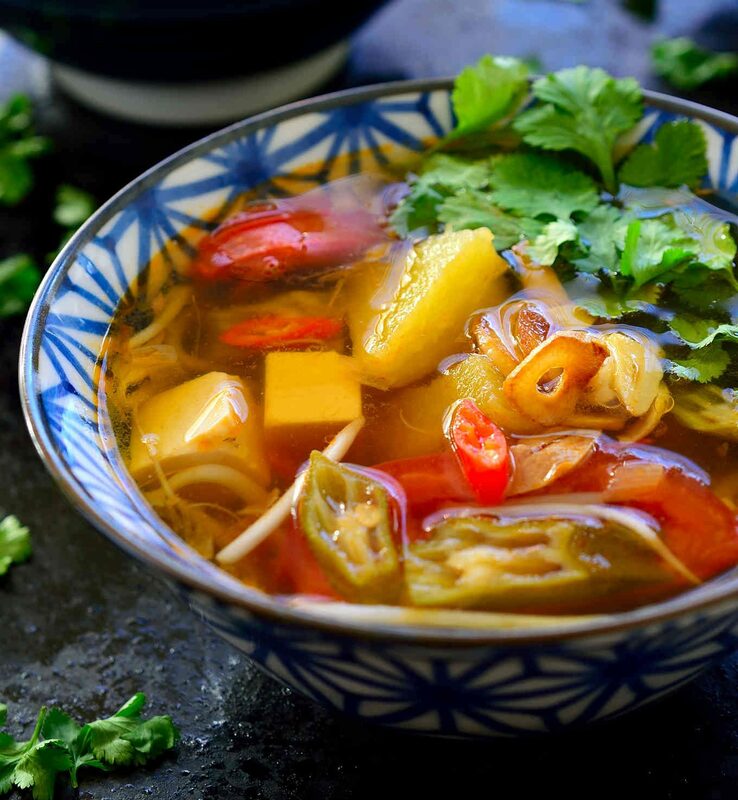 It uses fresh, clean ingredients with a variety of different fruits, vegetables and herbs to produce a soup of contrasting textures that’s rich and tangy with the perfect balance of sweet, sour, salty and spicy. This soup is delicious served on its own to warm you up on a chilly afternoon or when you’re feeling under the weather, or spooned over rice for a heartier main dish. This Vietnamese sour soup recipe is ready in just 15 minutes and so full of complex flavours and textures that it just might be the most delicious bowl of soup you’ve ever tasted. 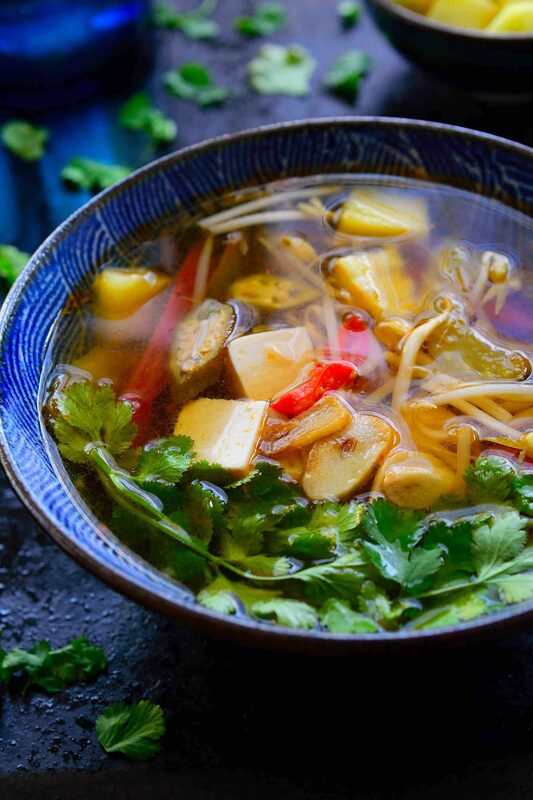 This is a vegetarian version of canh chua with tamarind, pineapple, okra and silken tofu. Bring 1 cup (240 ml) of the water to a boil in a small pot. Add the tamarind paste and simmer for 2 minutes. Remove from the heat and stir well to dissolve the tamarind. 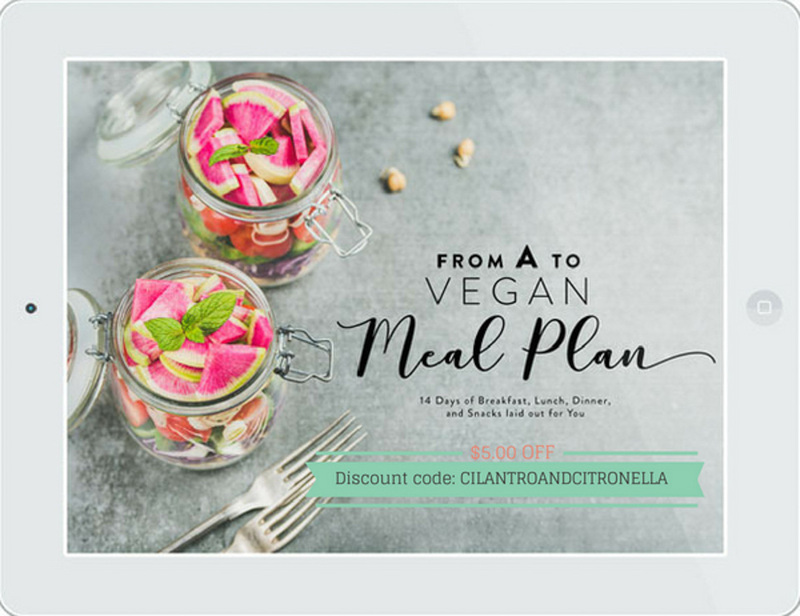 Set aside while you chop the fruits and vegetables. Heat a medium-sized pot over medium heat. Add the oil and garlic. Fry, stirring constantly, until the garlic is golden brown. Be very careful not to burn it. Remove the garlic to a small plate with a slotted spoon, keeping the oil in the pot. Add the shallots to the pot and fry until soft. Finally, add the one diced tomato and fry for a couple of minutes, breaking it up with your spoon to form a paste. Add the remaining 4 cups of water to the pot. Pour the reserved tamarind liquid into the pot through a sieve. Use a spoon to press as much tamarind pulp through the sieve into the soup as possible, discarding the seeds and fibre. Add the soy sauce, sugar and salt to the pot and bring to a boil. Add the pineapple, okra and celery and simmer over medium heat for 2 – 3 minutes. Remove the pot from the heat and add the tomato wedges, bean sprouts and tofu. Taste the soup and adjust the balance of salt and sugar, if necessary. Serve the soup into bowls and garnish with the reserved fried garlic slices, sliced chili pepper and fresh cilantro. January 24, 2017 at 5:02 am In the winter when fighting a cold I absolutely love sour soups with full flavor! Thanks for sharing this recipe!